D.P.R. offers custom solutions to OEMs tailored to their specific needs. We pride ourselves on our proven track record for effective labeling and finishing systems that are intended to be the perfect companions to thermal transfer printers, digital color label printers, and presses making D.P.R. the ideal choice for all of your labeling needs. The VIPColor Rewinder and Unwinder are used to rewind or unwin labels to a 76mm (3") core holder. The rewinder and unwinder can handle labels 220mm (8.66") wide and rewind rolls with external diameter up to 250mm (9.84"). The feet of the printer must be slotted into the slits of the base named “R”. 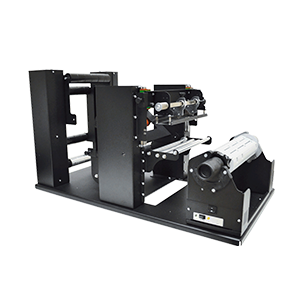 The rewinder and unwinder for Epson TM-C3500 printers are used to manage rolls of media up to 127mm (5") having an outside diameter up to 250mm (9.84"). The users can select among the adjustable core holder 40mm - 118mm (1.57" - 4.64") and the 76mm (3") fixed. 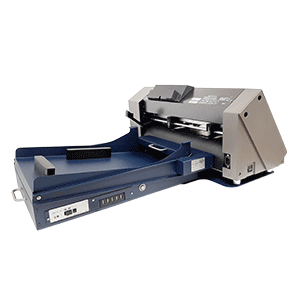 The rewinder and unwinder for Epson C7500 printers are used to manage rolls of media up to 127mm (5") having an outside diameter up to 250mm (9.84"). The users can select among the adjustable core holder 40mm - 118mm (1.57" - 4.64") and the 76mm (3") fixed. 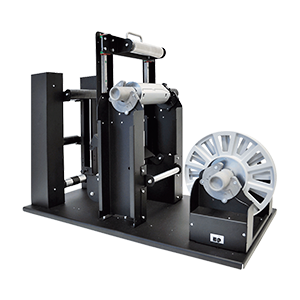 The unwinder and rewinder for Primera LX series printers are used to manage rolls of media up to 220mm (8.66"), while having an outside diameter up to 250mm (9.84"). The units have a 76mm (3") fixed core holder. The feet of the printer (only LX2000 model) must be slotted into the slits of the base named "U" (for the model UP1234-S4) or "R" (for the model RP1234-S4). In this way the correct unwinding/rewinding operations are guaranteed and the rewinder is safely fastened to the printer.